"My vision of the future is no longer people taking exams and proceeding then on that certification . . . but of individuals passing from one stage of independence to a higher one, by means of their own activity through their own effort of will, which constitutes the inner evolution of the individual." WHAT EXACTLY IS THE MONTESSORI METHOD? The child possesses unusual sensitivity and mental powers for absorbing and learning from his or her environment that are unlike those of the adult both in quality and capacity. For a more extensive overview of the Montessori approach, please read Desmond Perry’s An Introduction to Montessori. The Montessori approach has been used successfully with children up to age eighteen from all socioeconomic levels, representing those in regular classes as well as gifted, mentally retarded, emotionally disturbed, and physically handicapped. Because of its individual approach, it is uniquely suited to educating children of differing needs, temperaments, and abilities. IS THE CHILD FREE TO DO WHAT HE OR SHE CHOOSES IN THE CLASSROOM? The child is free to move about the classroom at will, to talk to other children, to work with any equipment or material whose purpose he or she understands, or to ask the teacher to introduce a new material. The teacher observes the child, noting his or her needs and interests. The teacher uses her observations to facilitate learning by guiding the child towards those activities that will best serve his or her development. The child is not free to disturb other children at work or to abuse the equipment that is so important to his or her development. WHY IS THE MONTESSORI APPROACH BENEFICIAL TO CHILDREN? The goal of Montessori is multi-faceted: it encourages self-discipline, self-knowledge, and independence; it instills a lifelong love of learning; and it provides an organized approach to problem solving and academic skills. HOW WILL MY CHILD MAKE THE TRANSITION FROM A MONTESSORI CLASSROOM TO A TRADITIONAL CLASSROOM? Montessori children are usually adaptive. They have learned to work independently and in groups. Since they've been encouraged to make decisions from an early age, these children are problem-solvers who can make choices and manage their time well. They have also been encouraged to exchange ideas and to discuss their work freely with others, and good communication skills ease the way in new settings. Research has shown that the best predictor of future success is a strong sense of self-esteem. Montessori programs, based on self-directed, non-competitive activities, help children develop good self-images and the confidence to face challenges and change with optimism. It’s re-enrollment time again, and in thousands of Montessori schools all over America parents of four-almost-five-year-olds are trying to decide whether or not they should keep their sons and daughters in Montessori for kindergarten or send them off to the local schools. The advantages of using the local schools often seem obvious, while those of staying in Montessori are often not at all clear. When you can use the local schools for free, why would anyone want to invest thousands of dollars in another year's tuition? Naturally, to some degree the answer is also often connected to the question of family income as well, although we are often amazed at how often families with very modest means who place a high enough priority on their children's education will scrape together the tuition needed to keep them in Montessori. Montessori is an approach to working with children that is carefully based on what we've learned about children's cognitive, neurological and emotional development from several decades of research. Although sometimes misunderstood, the Montessori approach has been acclaimed as the most developmentally appropriate model currently available by some of America's top experts on early childhood and elementary education. One important difference between what Montessori offers the five-year-old and what is offered by many of today's kindergarten programs has to do with how it helps the young child to learn how to learn. Because Montessori teachers are well trained in child development, they normally know how to present information in developmentally appropriate ways. In many, many American schools, children do exercises and fill in workbook pages with little understanding. There is a great deal of rote learning. Superficially, it may seems that these children are learning the material. However, all too often a few months down the road little of what they "learned" will be retained and it will be rare for the children to be able to use their knowledge and skills in new situations. Learning to be organized and learning to be focused is as important as any academic work. In a class with such a wide age range of children, won't my five-year-old spend the year taking care of younger children instead of doing his or her own work? The five year olds in Montessori classes often help the younger children with their work, actually teaching lessons or correcting errors. Anyone who has every had to teach a skill to someone else may recall that the very process of explaining a new concept or helping someone practice a new skill leads the teacher to learn as much, if not more, than the pupil. This is supported by research. When one child tutors another, the tutor normally learns more from the experience than the person being tutored. Experiences that facilitate development of independence and autonomy are often very limited in traditional schools. Isn't it better for kids to go to school with the children from their neighborhood? Once upon a time people bought a home and raised their family in the same neighborhood. There was a real sense of community. Today, the average family will move two or three times before their children go off to college. Many public schools expect a turnover of more than 20% of their population a year as families move in and out of the area. The relationships that once bound families living in the same neighborhood together into a community have grown weak in many parts of the country. In many Montessori schools, families who live in different neighborhoods but who share similar values have come together to create and enjoy the extended community of their school. Children growing up in Montessori schools over the last fifty years often speak of how closely knit their friendships were with their school mates and their families. Since most children will eventually have to go to the neighborhood schools, wouldn't it be better for them to make the transition in kindergarten rather than in first grade? The American Montessori Society tells of one father who wrote,"We considered the school years ahead. We realized a child usually does his best if he has good learning habits, a sound basis in numbers and math, and the ability to read. We realized that he has had an excellent two-year start in his Montessori school. If he were to transfer now to kindergarten, he would probably go no farther than he is now, whereas if he stays in Montessori, he will reap the benefits of his past work under the enthusiastic guidance of teachers who will share his joy in learning." Many families are aware that by the end of the kindergarten year, Montessori students will often have developed academic skills that may be beyond those of children enrolled in most American kindergarten programs. However, parents should remember that academic progress is not our ultimate goal. Our real hope is that the children will have an incredible sense of self-confidence, enthusiasm for learning, and will feel closely bonded to their teachers and classmates. We want much more than competency in the basic skills; we want to them to honestly enjoy school and feel good about themselves as students. Once children have developed a high degree of self-confidence, independence, and enthusiasm for the learning process, they normally can adapt to all sorts of new situations. While there are wonderful and exciting reasoning to carefully consider keeping a child in Montessori through elementary school and beyond, by the time they are first grade they will typically be able to go off to their new school with not only a vibrant curiosity and excitement about making new friends and learning new things. If I keep my child in Montessori for kindergarten, won't he/she be bored in a traditional first grade program? Montessori children by the end of age five are normally curious, self-confident learners who look forward to going to school. They are normally engaged, enthusiastic learners who honestly want to learn and ask excellent questions. What teacher wouldn't give her left arm for a room filled with children like that? Well, truthfully over the years we've found some who consider these children "disruptive." Disruptive, you ask. A polite, independent Montessori child, disruptive? Well, first off, let's remember that Montessori children are real human beings, and not all children who attended Montessori fit the idealized description. However, enough do that the generalization is often fairly accurate. Montessori children by age six have spent three or four years in a school where they were treated with honesty and respect. While there were clear expectations and ground rules, within that framework their opinions and questions were taken quite seriously. Unfortunately, there are still some teachers and schools where children who ask questions are seen as challenging authority. You can imagine an independent Montessori child asking his new teacher, but why do I have to ask each time I need to use the bathroom? or Why do I have to stop my work right now? So the honest answer is that it depends on the teacher and school. From an academic viewpoint, Montessori children will generally be doing very well by the end of kindergarten, although, once again, that is not our ultimate objective. The program offers them enriched lessons in math, reading, language, and a wide range of lessons in science, geography and other cultural areas. If they are ready, they will normally develop excellent skills and become quite "culturally literate." When one of these children enters a traditional first grade, they may have already mastered the skills that their new school considered first grade curriculum. Some Montessori children are still more advanced. Once upon a time in America, elementary schools had only one course of study for every child at each grade level, and the only option for children who were academically gifted was to skip them ahead one or two grade levels. This created all sorts of resentments, jealousies among students, and social stresses on children who socially and physically still belonged with their own age group. However, as Dr. Montessori's educational strategies have been incorporated to a greater or lesser extent by more and more school systems, it is becoming more common to find elementary schools that are willing and able to adapt their curriculum to meet the needs of individual students who are ready for accelerated work. The key concept in Montessori is the child's interest and readiness for advanced work. If a child is not developmentally ready to go on, she is not left behind or made to feel like a failure. Our goal is not to ensure that our children develop at a predetermined rate, but to ensure that whatever they do, they do well. Most Montessori children master a tremendous amount of information and skills. Even in the rare case where one of our children may not have made as much progress as we would have wished, he will usually be moving along steadily at his own pace and will feel good about himself as a learner. Dr. Elizabeth Coe is the Past President of the American Montessori Society and Director of the Houston Montessori Teacher Education Center in Houston, Texas. Tim Seldin is the President of the Montessori Foundation and Chair of the International Montessori Council. September 28, 2006 — A study comparing outcomes of children at a public inner-city Montessori school with children who attended traditional schools indicates that Montessori education leads to children with better social and academic skills. The study appears in the September 29, 2006 issue of the journal Science ( see article full text, available free through Montessori-Science.org ). The children who attended the Montessori school, and the children who did not, were tested for their cognitive and academic skills, and for their social and behavioral skills. “We found significant advantages for the Montessori students in these tests for both age groups,” Lillard said. 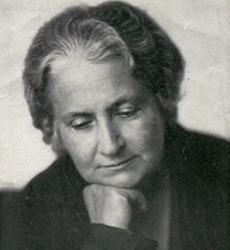 “Particularly remarkable are the positive social effects of Montessori education. Typically the home environment overwhelms all other influences in that area.” Among the 5-year-olds, Montessori students proved to be significantly better prepared for elementary school in reading and math skills than the non-Montessori children. They also tested better on “executive function,” the ability to adapt to changing and more complex problems, an indicator of future school and life success. Montessori children also displayed better abilities on the social and behavioral tests, demonstrating a greater sense of justice and fairness. And on the playground they were much more likely to engage in emotionally positive play with peers, and less likely to engage in rough play. Among the 12-year-olds from both groups, the Montessori children, in cognitive and academic measures, produced essays that were rated as “significantly more creative and as using significantly more sophisticated sentence structures.” The Montessori and non-Montessori students scored similarly on spelling, punctuation and grammar, and there was not much difference in academic skills related to reading and math. This parity occurred despite the Montessori children not being regularly tested and graded. The authors concluded that, “…when strictly implemented, Montessori education fosters social and academic skills that are equal or superior to those fostered by a pool of other types of schools.” Lillard plans to continue the research by tracking the students from both groups over a longer period of time to determine long-term effects of Montessori versus traditional education. She also would like to replicate the study at other Montessori and traditional schools using a prospective design, and to examine whether specific Montessori practices are linked to specific outcomes.